I'd already watched this drama earlier but I started watching it again on a whim yesterday and couldn't stop watching even though I already knew the story. I realized all over again how much I loved it. I've never actually re-watched a drama before, just thought I could and would. That says a lot about how much I liked it. The story in itself is nothing noteworthy. It's a simple plot-line that branches out into a couple of other directions interrelating subplots. What made it special were the characters. Though a little unrealistic and impractical, they were really endearing. You grow to love them and go from twist to twist hanging onto them for support. This is the reason Korean shows had me hooked onto them in the first place, their ability to make me a part of themselves. Being able to emotionally connect with the characters in a show that you KNOW isn't real doesn't come easy for a realist like me, that's what makes it all the more special. And what made the characters all the more amazing? The actors. 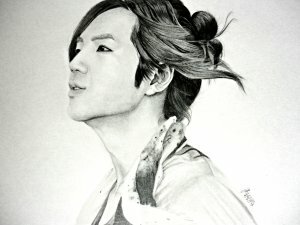 Jang Geun Suk is a show stealer through and through. If at all possible, I loved him all the more after watching the show again. There's something innately charismatic about this guy. He can be cute and grumpy in one second and serious and heartbroken in the next with the transitions being so smooth. Lee Hong Ki and Jung Yong Hwa did pretty well too. Park Shin Hye was.. good in some places but sometimes she felt off. She fit the role but I couldn't really connect that well with her acting, nothing personal, I haven't seen her in any other work. What can I say about the music? It's a sensation as far as Drama OST goes. I was listening to a couple of the songs and that's what made me watch the show again. That's the kind of music this show has. I didn't really cry throughout the show even when I saw it the first time (there are more funny scenes than sad ones) but both the times I've seen it, I always cry in the finale when Tae Kyung sings "What Can I Do", first off the song is really beautiful and JGS sings it quite nicely. The songs fit the scenes, don't feel off anywhere, nothing is overdone. The music stays with you even after the show is long done. I don't really need to give a verdict after all that I've said, watching it for the second time even though I have loads of other dramas lined up, says more than enough. 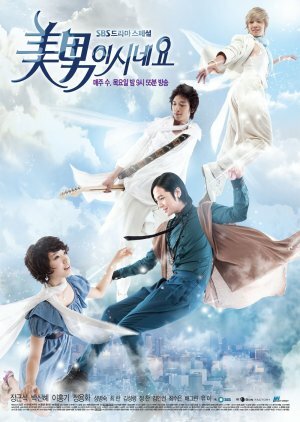 If you haven't already watched this, you're missing out on one of the gems of Korean Dramas.